Dr. Marilyn Singleton is a doctor, a lawyer and author. She is also a Board of Directors member and President of the Association of American Physicians and Surgeons (AAPS). AAPS fights to preserve medical freedoms and patient centered medicine. Dr. Singleton discusses alternatives to Obamacare like Health Sharing Ministries and Catastrophic Insurance but it all starts with personal responsibility. More than two thirds of adults and nearly one third of all children in the US are either overweight or obese and expanding government run healthcare has not improved out nation's health. Check out the latest in healthcare by going to AAPSonline.org. You can also follow Dr. Singleton on Twitter @MSingletonMDJD and read her articles in TheConservativePundit.net. Brian Kolfage is first and foremost a war hero. He was a Senior Airman with the USAF who served in Iraq and Kuwait. He was seriously injured on 9/11/04 in Iraq and is a Purple Heart recipient. He is lucky to be alive but is a triple amputee and, to date is the most severely injured airman in U.S. history. But Brian is now the Founder of the Border Wall GoFundMe effort that has netted over $23M to date! He is backed by a heavy hitting Advisory Board that includes Curt Schilling, Steve Bannon, Tom Tancredo and Kris Kobach. The effort is now a 501c4 non profit that is building the wall for an estimated $2-$3M a mile whereas the Federal government says it needs $18M a mile. To donate and to stay updated please go to: WeBuildTheWall.us. Right now they plan to start construction in April! Dr. Alveda King is the niece of Dr. Martin Luther King, Jr. and a former Georgia Congresswoman. She is also an Evangelist and is the Director of Civil Rights For The Unborn For Priests For Life. She has a new cookbook out for the holidays titled: "GG's Home For The Holidays", second edition, available on December 15th, and she has a new album, "Tender Moments Alone With God". Dr. King stresses the need for love and unity in America. You can find her CD's and books on Amazon, and connect with her on Twitter: @AlvedaCKing, her website: AlvedaKing.com, and CivilRightsForTheUnborn.org. "Sanctity of life from the womb to the tomb." Dr. Carol Swain is an author, conservative speaker and former law professor at Princeton University and Vanderbilt University. She was featured in Dinesh D'Souza's movie, "Hillary's America" and is the voice behind "Be The People News", (BeThe PeopleNews.com), a blog and podcast dedicated to empowering individuals to think independently and understand their responsibility and unique ability to make a difference in the world. Her latest book is titled, "Debating Immigration" and can be found on Amazon. And her latest article: Reasonable or Racist? Trump's policies on the Central American Caravan, talks about how immigration follows economics, demographics, race, law policy and religion. Dr. Swain can be found on Facebook at: ProfCarolMSwain and on Twitter @CarolMSwain and her website: CarolMSwain.com and her podcast is: AmericaOutLoud.com/Carol-Swain. 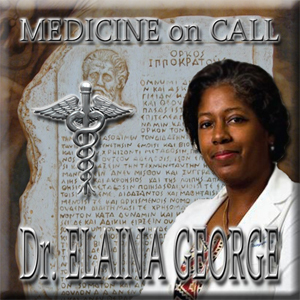 Dr. Elaina George is THE go-to person for everything about how to circumvent Obamacare. She is an ear, nose and throat doctor in Atlanta and received her education at Princeton University, Mt. Sinai and Manhattan Eye, Ear and Throat in NYC. Her book: "Big Medicine: The Cost of Corporate Control, how doctors and patients working together can build a better system" is available on Amazon. She also hosts a radio show titled: Medicine On Call which can be found on itunes and Spotify. Dr. Elaina has been on all the major news channels and is an advocate for Liberty Healthshare, a health sharing ministry that helps families and individuals take control of their healthcare costs. Find all her information on her website: DrElainaGeorge.com, and for Liberty Healthshare at LibertyOnCall.org. This week we are joined by our friend DANNY HAMILTON, owner of Star Coaches, an Atlanta based rock & roll bus company, where Don is the SVP... Danny decided to put his money where his mouth is by voluntarily taking one of his rock & roll buses off the market for over 60 days, branding it with "Donald Trump for President 2016 and rolling it all over the state of Georgia! And in segment #4 we are joined my the brilliant DR. RHONDA MOORMAN, host of MedLaw with Dr. Rhonda Moorman heard right here every Wednesday on Red Nation Rising Radio and WDDQ. We get into an in depth discussion about the health of Hillary Clinton! In hour one, we are joined by FRED GEDRICH, a 30 year veteran of the Dept. of Defense, the last 10 yrs. in the State Department. He has written for the Washington Times as well as numerous other newspapers and appeared on virtually all major news networks. Fred is also a cancer survivor, hiking over 10,200 feet up to Mt. Washburn in Yellowstone this past Summer, and his non profit, "Lightthenight.org" will host a "walk with Papa Fred" October 15th to raise money for blood cancer awareness. And in hour 2, DR. JANE ORIENT, the Exec. Dir. of the Assoc. of American Physicians and Surgeons, (AAPS), and is President of Doctors for Disaster Preparedness join us. Her recent article, "Examining Hillary's Doctor" talks about Hillary Clinton's health concerns and that she could not qualify as a bus driver let alone the President of the US. Dr. Orient is also the author of, "Your Doctor Is Not In: Healthy Skepticism About National Healthcare" as well as many children's books. She is also the managing editor of the Journal of American Physicians and Surgeons. To close the night, we are joined by our good friend, LEE POWERS who is the Commissioner- Elect Dist. 5 in Carrollton, Georgia, where we live, and the District that Newt Gingrich served as Congressman and Speaker of the House. We feel ALL politics is local, and Lee discusses the importance of getting involved no matter how busy we are in our daily lives. That's why he ran for, and won as our Commissioner. As Ben Franklin said, "It's a Republic, as long as we can hold onto it." In hour one, we are joined by our good friends and fellow Red Nation Rising Radio show hosts, GAVIN MITCHELL & MATT LOCKE... Getting these two guys together is always entertaining and enlightening... Catch their individual shows, The Gavin Mitchell Show and The Matt Locke Show, along with their combined show, The Conservative Cartel on Red Nation Rising Radio, and on WJHC - Talk 107.5FM! In hour one, we are joined by our friend, THE GOOD DOCTOR... With over 30 years experience at a major University hospital, The Good Doctor discusses the financial ruin of the medical industry at the hands of ObamaCare and hospital administrative bureaucrats... This segment is a must hear if you want to hear about ObamaCare and its continuing failures! In hour one, We are joined by DALE BELLIS, Executive Director, Liberty Healthshare (http://www.libertyhealthshare.org/), a financially sensible alternative to ObamaCare... Dale explains the concept, and success behind Liberty Health Share... Both Donna and Don are enrolled... Please check out this affordable, quality alternative to the rising costs of health insurance! This week is a seriously packed show! In segment 1, MELISSA QUINN, an investigative journalist for DailySignal.com reveals some truths about Obamacare and the failing of state co-ops that cost the taxpayers $2.4 Billion dollars. Then in segments 2 and 3, KENT CLIZBE, former CIA covert operative and successful author, shares his take on Putin and Russia. He tells us what we are getting wrong about Russia and why. He also tells us that the Soviet Union infiltrated the U.S. pushing political correctness and how it is killing us today. And wrapping up the night in segment 4, KELSEY HARKNESS of DailySignal.com, part of the Heritage Foundation explained a Department of Justice nefarious program called Operation Choke Point, an effort to shut down small business by threatening their banking relationships. And: Hillary Clinton calls in to "screech" to Don about his recent name for her: "Bad Me-Maw"! Then, in hour 2, ALFONZO RACHEL, host of "ZoNation" joins us for an hour of political satire and common sense... Zo is an outspoken Conservative on PJTV and the founder of the Rock Band 20 lb Sledge... We discuss politics, music and current events like only Alfonzo Rachel can! Dr Elaina George is a Board Certified Otolaryngologist. She graduated from Princeton University with a degree in Biology. She received her Masters degree in Medical Microbiology from Long Island University, and received her medical degree from Mount Sinai School of Medicine in New York. Dr George completed her residency at Manhattan, Eye Ear & Throat Hospital. Her training included general surgery at Lenox Hill Hospital, pediatric ENT at The NY-Presbyterian Hospital, and head and neck oncology at Memorial Sloan-Kettering Cancer Center. Captain Tommy Clack is a Life Member of the 5 big veterans organizations (American Legion, AMVETS, Disabled American Veterans, Military Order of the Purple Heart, Veterans of Foreign Wars). Capt. Clack volunteers on the National and State level with the POW / MIA Issue, volunteers with/for the NRA (as a Life / Endowment Member). He is the current President / COB of the Walk of Heroes Memorial (a $33 Million 1,200’ long Memorial, with #2.8 Million built). Capt. Clack has served as the State President of the Georgia Jaycees 1977-78 and as State President since 1983 of the Georgia Veterans Leadership Program. He regularly coordinates Statewide events / programs to honor veterans / military and their families as a whole and / or specifically targeting an era and has been involved in over 300+ MEMORIALS honoring veterans / military and their families. Dr Elaina George is a Board Certified Otolaryngologist. She graduated from Princeton University with a degree in Biology. She received her Masters degree in Medical Microbiology from Long Island University, and received her medical degree from Mount Sinai School of Medicine in New York. Dr George completed her residency at Manhattan, Eye Ear & Throat Hospital. Her training included general surgery at Lenox Hill Hospital, pediatric ENT at The NY-Presbyterian Hospital, and head and neck oncology at Memorial Sloan-Kettering Cancer Center. This week's Topics: ObamaCare, a Doctor's Perspective and THE CURE FOR OBAMACARE!